Ghana international, Kadri Mohammed have been named in Russia Premier League team of the month of March. The Arsenal Tula midfielder has been impressive in the Russia topflight since joining the club. The 23-year-old helped the Yellow and Red lads to pick ten points against CSKA Moscow, Krylya Sovetov, Yenisey and FK Rostov last month. 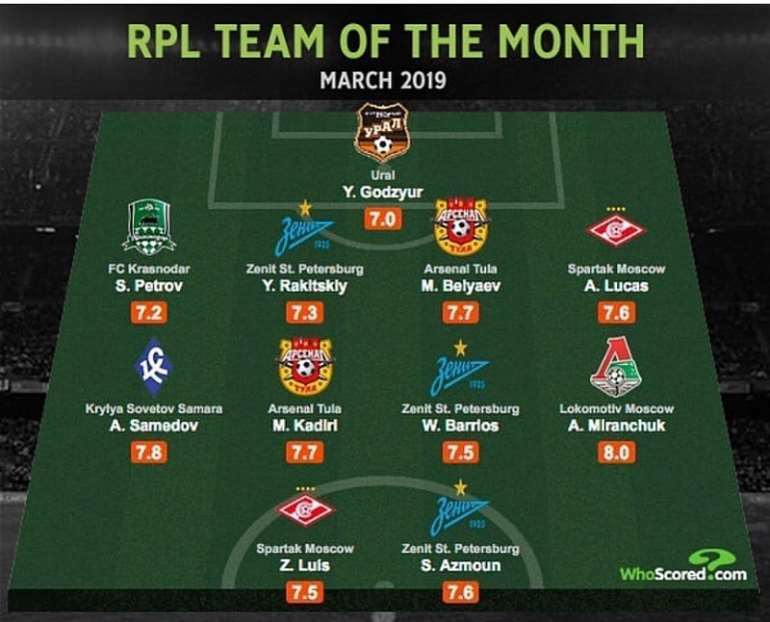 Kadri was rated 7.7 by Whoscored.com in the Russian top-flight league team of the month of March. 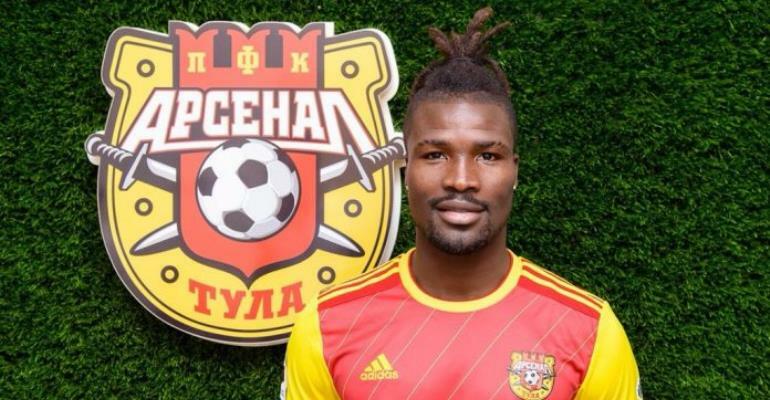 Mohammed has made 23 appearances for Arsenal Tula so far this season with two goals and two assists to his credit.